 Public Lab: Accuracy of assembled Desktop Spectrometry kit? How accurate are the data plots produced by the Desktop Spectrometer Kit? Question: Accuracy of assembled Desktop Spectrometry kit? This isn't my field, but I'll try to frame the question more precisely. For any given wavelength in the plot, there's a magnitude representing its intensity. That magnitude becomes meaningful when viewed in relation to the magnitudes of the other wavelengths in the same plot. In other words, the shape of the curve is meaningful. So, in general, if you were to take the plot of a spectrum as observed and reported by the PL Desktop Spectrometer and overlay it against the plot produced by whatever the gold standard spectrometer is, how closely would they match? I don't know how that's typically expressed in this field, but I could imagine it might be through some kind of r-squared formula of how closely the shape of the curves fit one another, or maybe it's expressed by how much difference there is when comparing the relative magnitudes (as reported by the two spectrometers) for each wavelength of light in the spectrum that's being measured, or some other way entirely. If I knew what the figure of merit was, I would have just asked for that when I first posted this question. Anyhow, that's the gist of what I'm trying to ask. I'm not saying the PL Desktop Spectrometer would have to be as accurate as the gold standard to be useful, but just how useful it is may hinge, at least in part, on how much of a difference there might be. 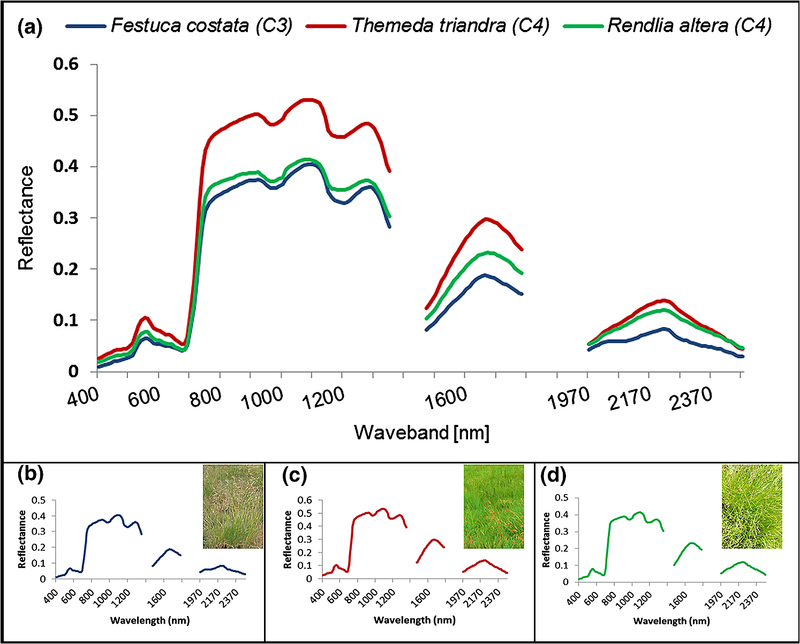 For instance, if I had pointed the PL Desktop Spectrometer at the same patch of grass at the same time as whatever spectrometer was used to generate the responses curve for lawn grass shown http://publiclab.org/notes/nedhorning/11-01-2013/why-a-red-filter-should-work-well-for-ndvi , would the curve have looked the same? If so, then I could use the PL Desktop to do the detection described there. When I made the inquiry http://publiclab.org/notes/WhiteRabbit/07-27-2014/question-can-i-use-the-desktop-spectrometer-to-analyze-ordinary-reflected-light, the answer I got was that there may be differences. So, I'm asking about accuracy in order to better understand whether those differences are big enough to matter. The specs at http://publiclab.org/wiki/spectrometer#Make+a+spectrometer don't seem to address this topic. Resolution is different than accuracy. For example, one of the differences, as noted in the comment posted in http://publiclab.org/notes/WhiteRabbit/07-27-2014/question-can-i-use-the-desktop-spectrometer-to-analyze-ordinary-reflected-light , is that the PL plot https://spectralworkbench.org/analyze/spectrum/14251 for greengrass02 looks a lot different than the plot referenced above, and it's a large difference. I don't know whether it's because the lawn samples were different or because the PL Desktop Spectrometer would have produced that same curve even if it had sampled the same patch of lawn from the sample position and at the same time as whatever spectrometer produced the reference reflectance curve. For the reasons given above I'd like to know whether it would have produced the same curve if it had sampled the same thing from the same position at the same time. I don't have the experience and the data to answer that question that you all presumably have. If you haven't already done the comparison, sooner or later you'll either want to or need to. Has such a comparison been done yet? 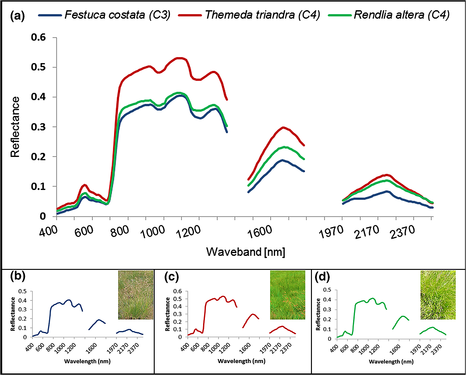 The spectral plot of grass that you are interested in replicating is a plot of reflectance. This curve represents a very well known pattern of reflectance of green grass. Here are some other examples. The Y axis is reflectance. Spectrometers based on consumer cameras, like the Public Lab spectrometer, do not produce results in units of reflectance. The Y axis is instead something like relative brightness. I don't know of any attempt to determine the exact relationship between this relative brightness and reflectance. For the reasons listed in a comment here, you should not expect a very tidy relationship between the Y axis of a spectral plot from a Public Lab spectrometer and the Y axis of a professional spectrometer plot. That relationship is expected to be quite messy if you are interested in comparing reflectance of visible light to reflectance of near infrared light as the plots of grass above do. Consumer cameras are not intended to capture near infrared light. After the IR block filter has been removed, they capture NIR, but apparently not with the same sensitivity that they capture visible light. So a spectrometer based on a consumer camera might never capture that steep "red edge" between visible and NIR reflectance of vegetation. Although the absolute values of brightness reported by a spectral plot from a Public Lab spectrometer should be interpreted with caution, the tool has some powerful uses. For example, when you compare the color of light passing through a solution (solvent plus solute) to the color passing through just the solvent, you can know with some precision how much of each color was absorbed by the solute (subtract one spectrum from the other). This subtraction conveniently bypasses many of the artifacts caused by the consumer camera, and could even provide good results across the visible/NIR boundary. When properly built and calibrated, a Public Lab spectrometer can also identify the wavelength of peaks or dips in a spectrum with very good precision and accuracy. This type of accuracy is not compromised by the artifacts related to the consumer camera. Chris's explanation is right on -- the PL kit is great at comparative spectral analysis, but unless you have a light source with an already known spectrum, it cannot do absolute spectral scans. Its a great question and I'd like to star this post but do you think you could change the title to something more descriptive? Thanks! Per request, I just now changed the title to something more descriptive. Thanks for your post, Chris.